Remember back when Buick was generally thought of as an entry level luxo-boat that appealed primarily to more mature drivers? Be that as it may, that’s no longer the case. 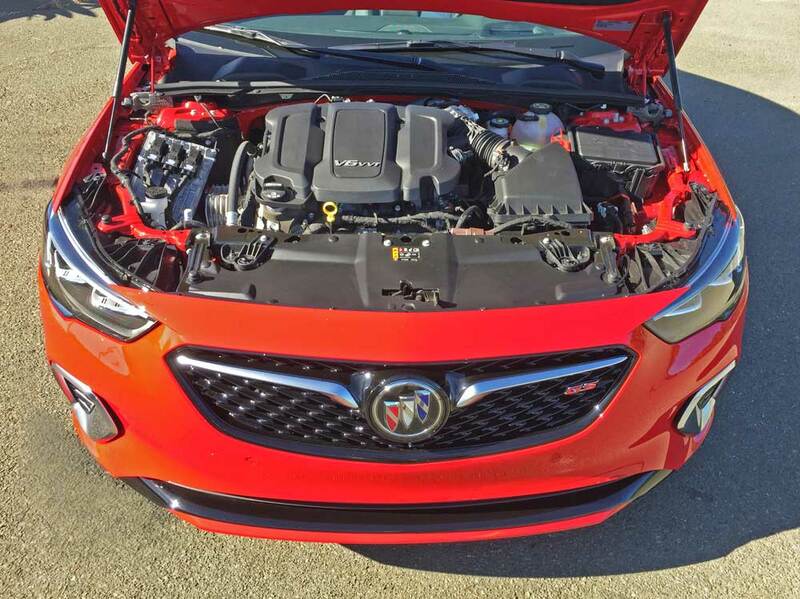 The 2018 Buick Regal GS AWD is a prime example that adds: two more cylinders than before in the form of a 310 horsepower V-6 (a plus of 51 horses); a nine-speed automatic transmission; ands a standard intelligent AWD system with an active twin clutch that can transfer torque between the rear wheels precisely, delivering a more refined, efficient performance and enhanced vehicle control by combating under steer as well as torque steer. Also new is a second generation example of Continuous Damping Control that’s capable of 500 adjustments per second, directed by Buick’s Interactive Control allowing the driver to fine tune the vehicle’s driving dynamics via three modes – a standard setting, a Sport setting, or a GS mode via a selection in the center console. There are performance brakes with Brembo front calipers. 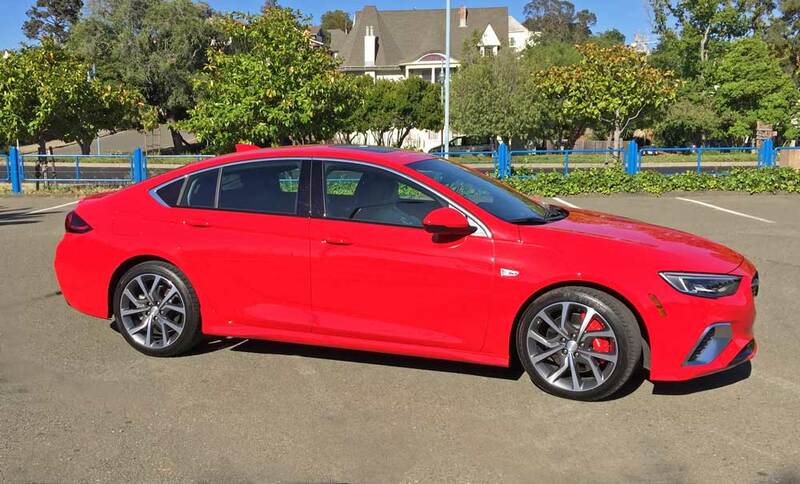 This new 5-passenger, Buick Regal GS is a premium sport sedan that displays unique sport front and rear fascias, side skirting and a rear spoiler along with a sport-tuned exhaust system and GS badging front and rear. There’s a sport-flat bottomed steering wheel and metal pedals. LED headlamps and a Head Up Display are available options. The performance seating is GS-specific, AGR certified (Germany’s Aktion Gesunder Rücken, or Campaign for Healthier Backs), heated, cooled, a massaging feature with adjustable seat and seat-back bolsters, along with thigh support. 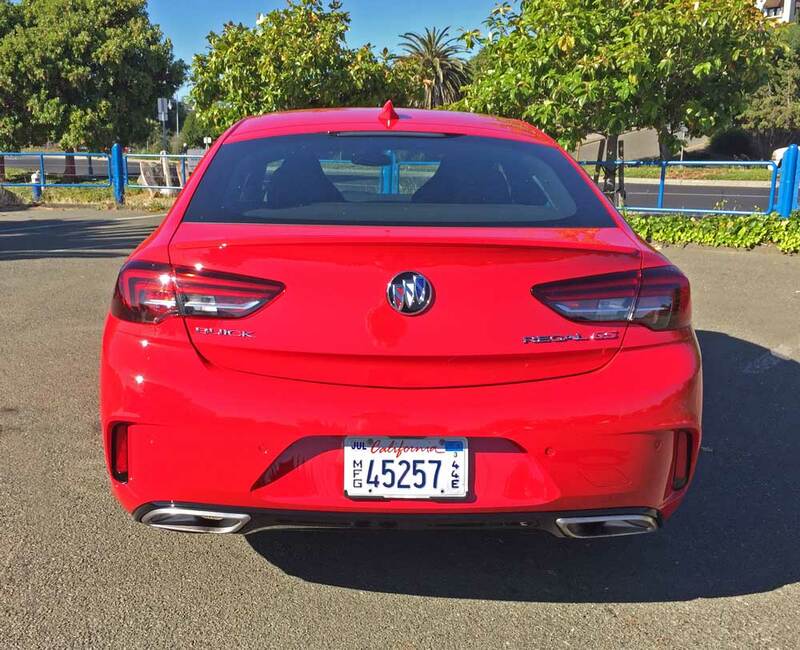 This Buick Regal GS (which is for Gran Sport by the way) is definitely not your uncle’s or grandfather’s stodgy Buick of yore, but rather an aggressive exterior expression of a four door hatchback styling. 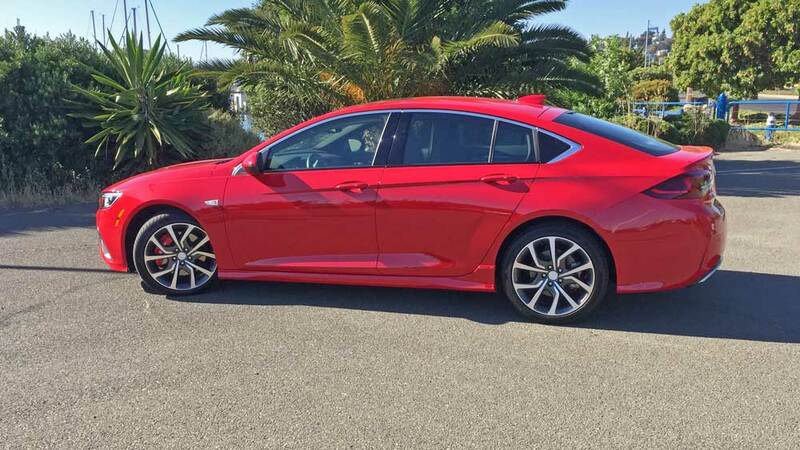 It’s an attractive sedan that is sure to draw the attention of more youthful consumers. Connectivity is showcased by a cohesive infotainment system featuring an 8-inch touchscreen along with an 8-inch-diagonal, reconfigurable instrument cluster as well as Apple CarPlay and Android Auto compatibility as standard fare. The Regal GS also comes with OnStar 4G LTE Wi-Fi hotspot (with a complimentary 3-month/3GB data trial) and access to an unlimited data plan for $20 per month. 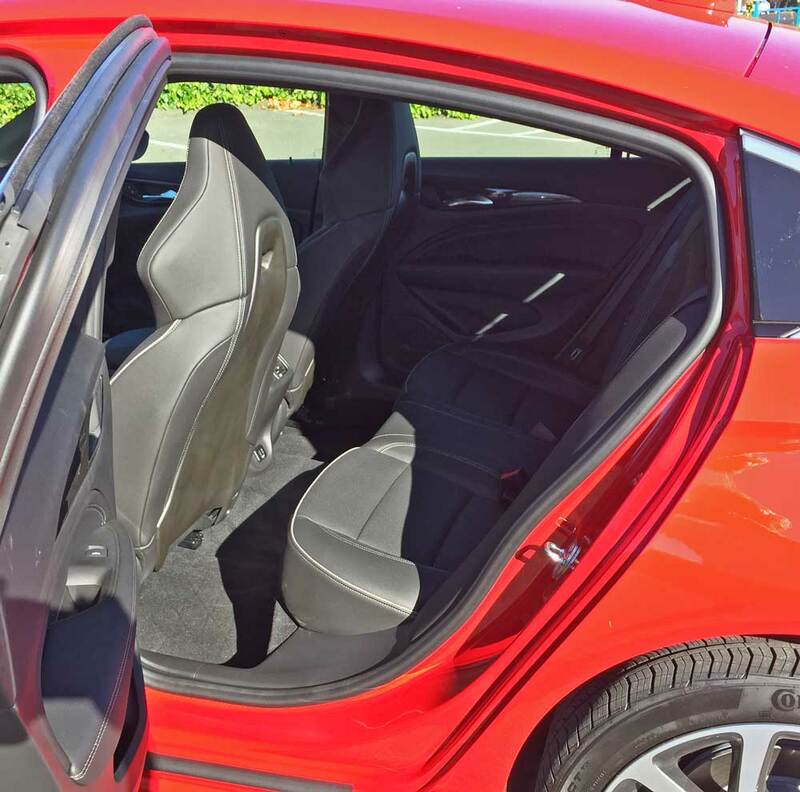 Safety features of the Buick Regal GS include: ten standard air bags, including frontal driver/front passenger, head-curtain side-impact and throrax for front and rear outboard seating positions and knee air bags for the driver and front passenger; a standard rear-vision camera; Side Blind Zone Alert with Lane Change Alert and Rear Cross-Traffic Alert. Driver Confidence Package 2 is available with Adaptive Cruise Control, Following Distance Indicator, Forward Collision Alert, Forward Automatic Braking, Lane Keep Assist, Front Pedestrian Braking and head-up display. 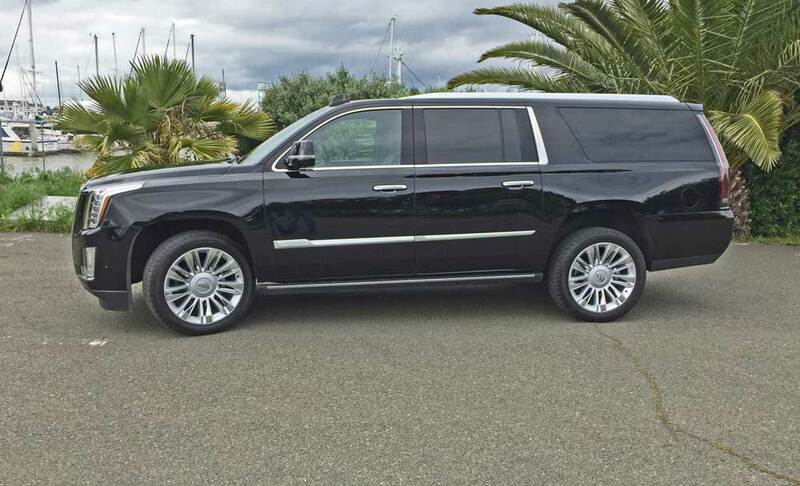 The front transversely-mounted engine is a 3.6-liter, DOHC, 24-valve, VVT V-6 with Direct Injection and auto Stop/Start that delivers 310 horsepower at 6,800 rpm while also developing 282 pound feet of torque at 5,200 rpm. The AWD powertrain is essentially a transplant from the larger and heavier Buick LaCrosse. 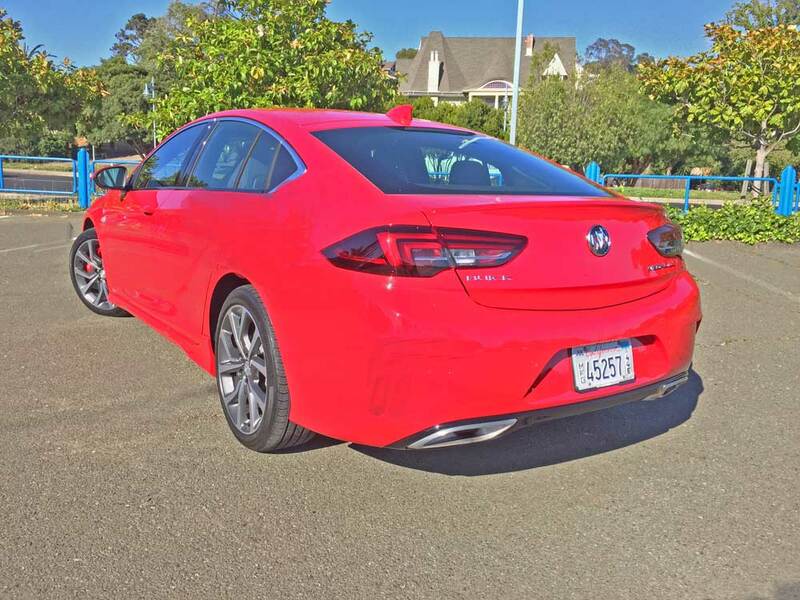 My 2018 Buick Regal GS AWD test vehicle came with a base price of $39,065., with the as tested price rising to $44,110. 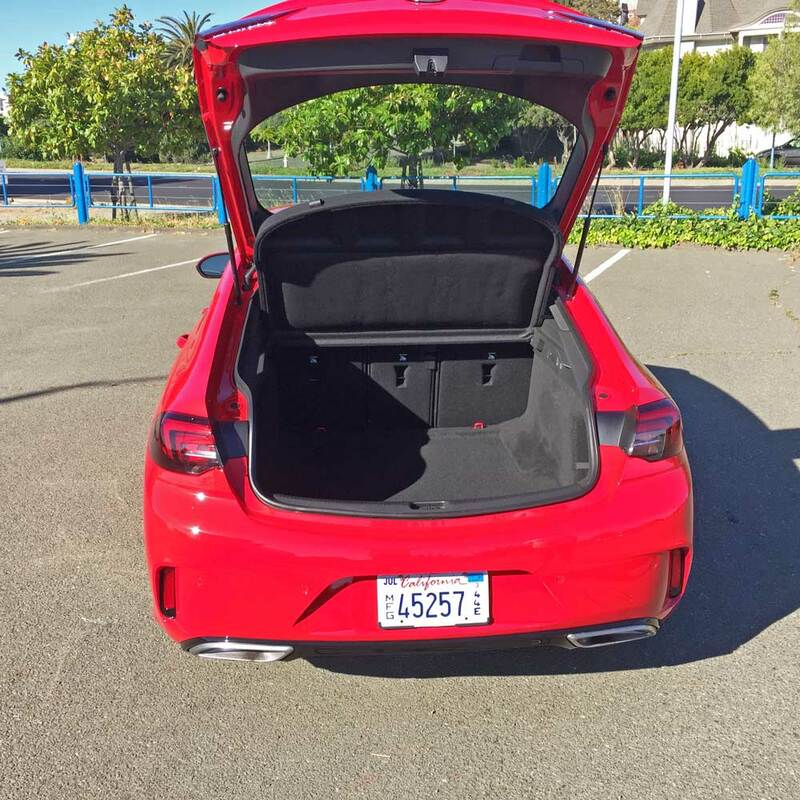 After factoring in the Driver Confidence Package #2, Power Moonroof, Sights and Sounds Package, Appearance Package and Destination charge. 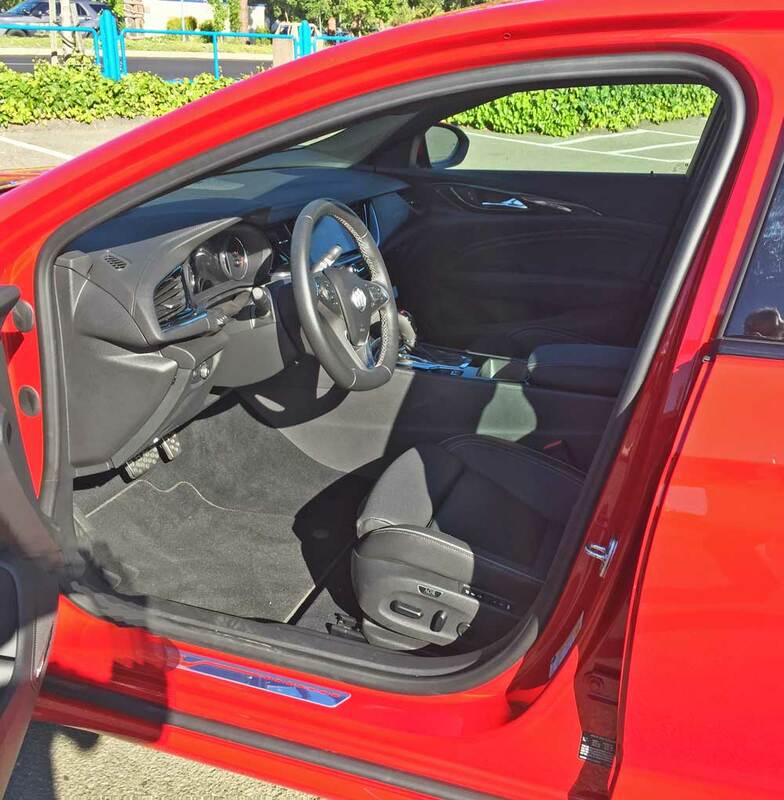 The exterior wore a coat of Sport Red, while the interior was done in Ebony with Ebony accents. 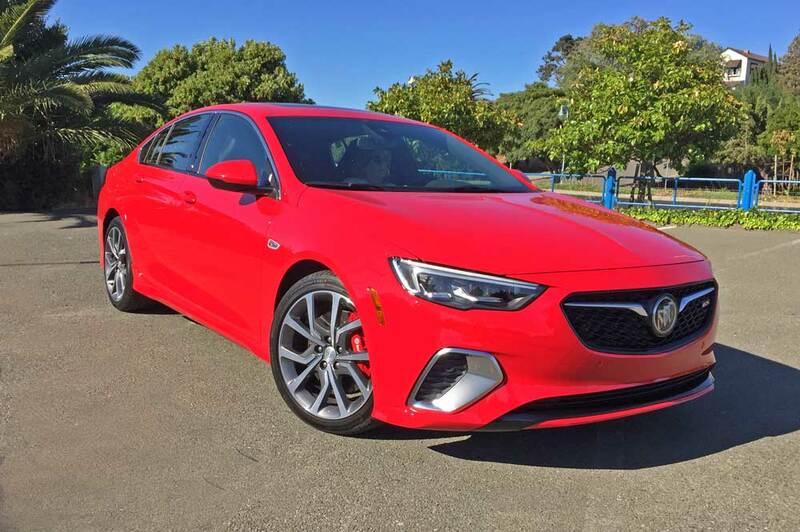 Piloting the 2018 Buick Regal GS AWD yielded a peaceful and stable competence in a variety of driving scenarios from inner city to bustling freeways. Acceleration is obviously far superior to the former four-banger powerplant, and the nine-speed automatic intuitively chose the proper gear in virtually all levels of spirited driving situations. Reining in the Regal GS courtesy of the four-piston Brembo front brakes was smooth and confidence inspiring. This latest iteration of the Regal GS is truly worthy of the Gran Sport badging. 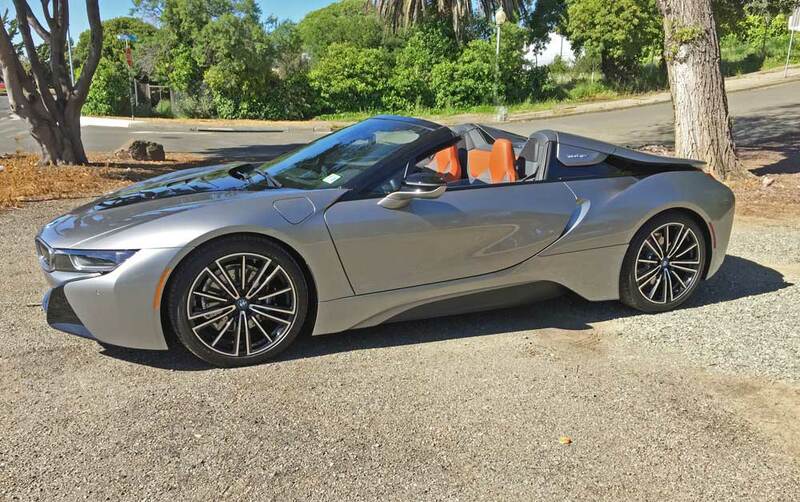 It is stylishly appealing and the performance levels are enjoyable across the board from simply commuting to a challenging romp on twisting back roads. Engine Type and Size: 3.6-liter, DOHC, 24-valve, VVT with cylinder deactivation, Direct Injection and auto Stop/Start. Drive Train: Longitudinally mounted front engine / All-wheel drive with active twin clutch. Suspension: Front – MacPherson strut with coil springs and Continuous Damping Control. 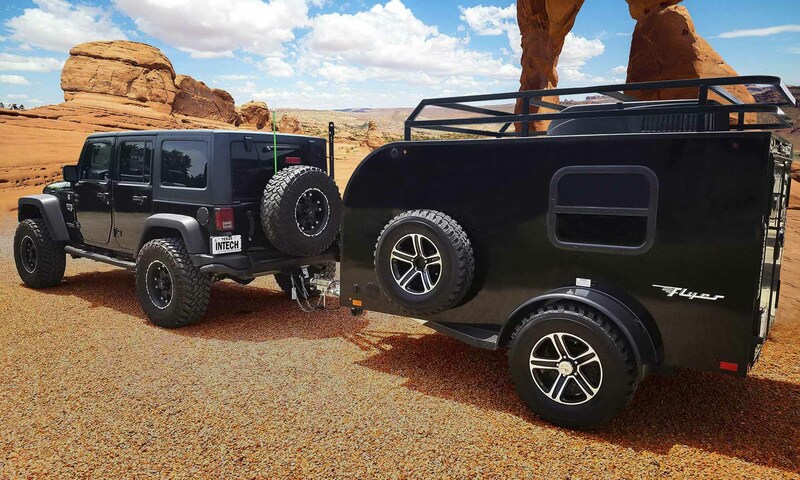 Rear – Five-link independent with Continuous Damping Control. Brakes: Power-assisted four-wheel discs with ABS, Esc and Brembo front calipers. 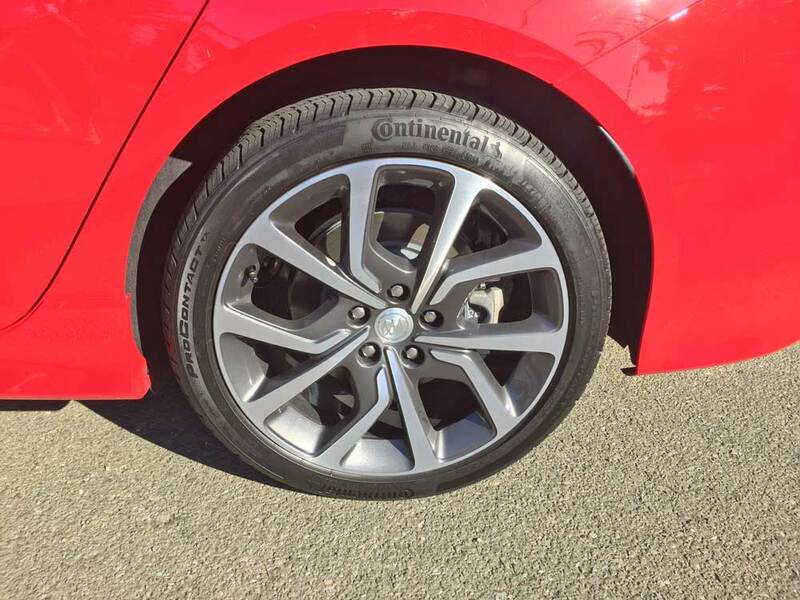 Tires: Continental ProContact tx 245/40 R19 94W mounted on 10 angled machine faced spokes with painted inners.